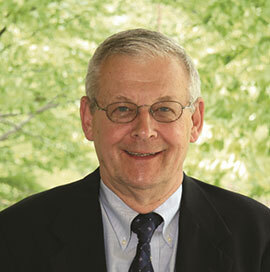 Ronald Duska has been appointed a Senior Fellow of the Arrupe Center for Business Ethics. Ron has been a member of the Arrupe Center’s Advisory Board since its inception and his new Senior Fellow status allows the Arrupe Center to call on his extensive and invaluable expertise. Ron is a long-time presence in the Philadelphia academic community, holding the Charles Lamont Post Chair of Ethics and the Professions at The American College for 15 years until his retirement. He is currently President of Duska Business Ethics Consulting as well as a frequent presence in classrooms at Saint Joseph’s. In addition to Saint Joseph’s, he has taught business ethics at a long list of prestigious universities, including the Wharton School of the University of Pennsylvania, the Darden School at the University of Virginia (where he is also a Senior Fellow at the Olson Center) and Pennsylvania State University. Ron is also a Board member and immediate past President of the Society of Business Ethics and served for many years as its Executive Director. He has authored 9 books and dozens of articles, including Accounting Ethics and Ethics for the Financial Services Professional. His classic article on whistle-blowing has been anthologized and reprinted countless times. As Senior Fellow, Ron will offer his expertise to the Center’s programs. In the past year, he has used his strength in accounting ethics by serving on the judging panel for the annual KPMG/ESSENT Regional Accounting Ethics Case Competition hosted by the Arrupe Center. 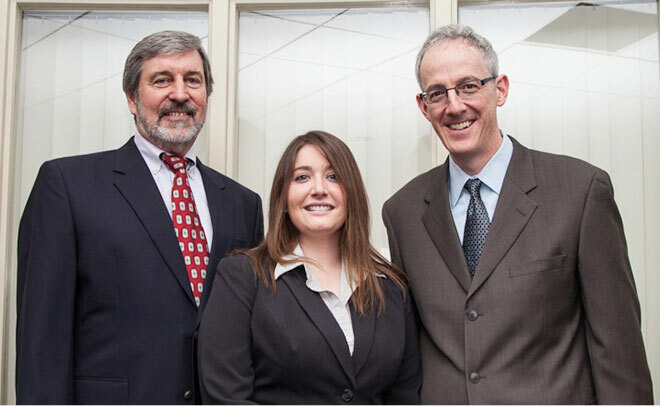 He also joined Center’s Director, John McCall, in delivering a very well received ethics program to the Insurance Internal Audit Group’s national meeting in October 2013. The Arrupe Center is privileged to have someone of Ron Duska’s stature in the business ethics community join us as Senior Fellow. The Arrupe Center has had a very busy and productive year. The Center continues to support faculty research and teaching in ethics, to provide engaging opportunities for students to hear from business people working to make a difference and to assure the financial future of all of the Arrupe programs. This newsletter offers a sample of recent activities of the Center. Brent Smith and Feng Shen from our Marketing Department were supported by the Arrupe Center in their research analyzing business student behavior and attitudes on academic dishonesty. Brent and Feng’s work will help business faculty across the country with strategies for addressing an important ethical problem at the heart of higher education. The Journal for Advancement of Marketing Education agreed, selecting their paper as the best paper in the journal for 2013. With ongoing support from the Arrupe Center, George Sillup and Steve Porth are extending their research into the media’s portrayal of the pharmaceutical industry. Drs. Porth and Sillup have now published a decade’s worth of reports on the issue—reports that find their way directly into the hands of industry executives. Their hope is that data from their scholarship will help the industry address some of its more significant ethical challenges. The Arrupe Center’s efforts to increase attention on ethics also finds its way directly into Haub School classrooms. Faculty in the business capstone course, Business Policy, have begun to ask students to consider ethical questions explicitly in their strategic assessments of real companies. As a result of this exposure, students will be more prepared to struggle with the live ethical questions they will inevitably confront in their careers. Of course, one of the most pressing ethical issues for business in the 21st century is its long-term impact on the environment and on future generations. With support from the Arrupe Center, Dr. Diane Phillips has developed her decades long interest in sustainability into an engaging and powerful public presentation that she has offered to sizeable audiences both on and off the SJU campus. She has also woven discussions of environmental impacts throughout a number of her marketing classes. With a grant from the Richard Donchian Foundation and support from a friend of the Center, the Arrupe Center was able to initiate a Business Leaders lecture series where we bring major executives to campus for an evening discussion with students, faculty and corporate executives from across the region. The focus for the last academic year was on health care and we were fortunate to have Dan Hilferty ‘78, President and CEO of Independence Blue Cross, and Jack Lynch, President and CEO of Mainline Health offer their perspectives on the future of healthcare insurance and delivery. The Center also sponsored a series of smaller events scheduled during the class day and aimed at students. These events gave students intimate access to business owners and executives from a variety of industries. That personal exposure to the real world challenges of business executives is always one of the experiences students report as a most valuable part of their overall education. Of course, all of this scholarship, teaching and programming would be for naught unless it had an impact on student outcomes. A very personal and moving autobiographical report from recent graduate, Alieen Gardner, will give you some sense of the impact a Haub School education can have. I would be remiss if I did not recognize our Arrupe Center Board of Advisors for their generous support of the Center. As the Center looks to assure its financial future through endowment level gifts, the members of the Advisory Board stepped up to provide funding that will extend the operations of the Center through the academic year 2015-16. We are immensely grateful to the Board for their generosity. That generosity enables us to maintain existing programs and to expand into new areas. One such important new initiative is the Rising Business Leaders Program and Mentorship Network. Suggested by Dina Alongi Caggiula, a young alumna on our Board, the Rising Business Leaders Program seeks to link recent graduates with mentors and to provide them with an opportunity to strengthen their Jesuit education through a network of like-minded individuals who are concerned about establishing an ethical culture in business. If you are interested in learning about the Rising Business Leaders Program, or are interested in any of the other Arrupe Center programs, I invite you to contact me at jmccall@sju.edu.